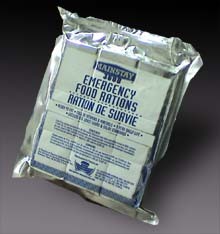 Mainstay� is specially formulated for land-based high stress situations. Each package contains 9 pre-measured 400 calorie meals, which allows a person to get their full nutrition in a challenging situation. Mainstay� is Kosher and it meets the dictates for Halal.